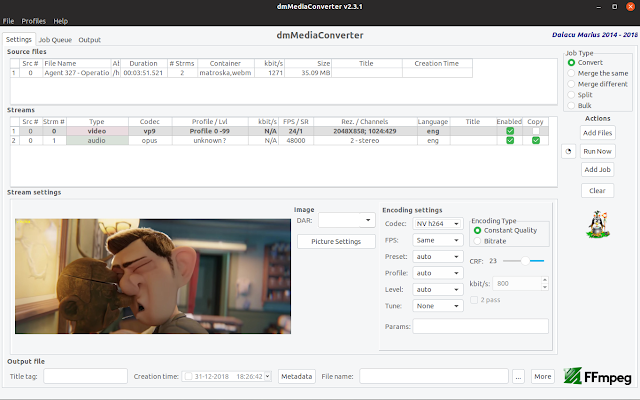 dmMediaConverter is a crossplatform FFmpeg frontend (GUI) exposing some of its features. It is intended to be simple and easy to use but also to be able to achieve complex tasks. 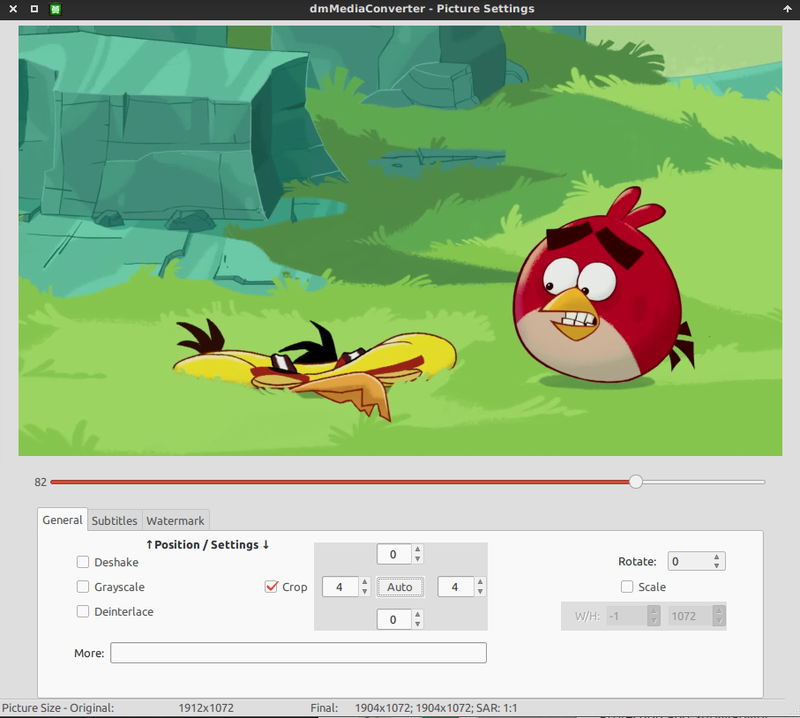 I have inspired myself from a lot of media converters like Handbrake, WinFF and MkvMergeGui. One feature was lacking from most of them, video stream copy (pass-through), that made me build this. add multiple streams into one mkv, mp4 or any other container known by ffmpeg that accepts multiple streams (with or without reencoding). Supports multiple video streams in the same file. Also you can reorder stream position. merge files with the same properties - no reencoding. Ex. Files made by a phone or camera. merge different kind of files (different codecs, resolution, etc) into one file. It chooses an output with the biggest width of all source files. image adjustments like brightness, contrast, gamma, etc. 3D conversions: Convert between different stereoscopic image formats.. Ex. side by side to anaglyph. copy, add or modify any metadata to stream and container. - "Copy" checkbox - stream will not be reencoded, only copied, so, stream options (lower part of the app) will be disabled. To modify stream just unckeck it and you will be able to choose codec and various audio / video options. - To enable Picture settings on a video stream (crop, pad , rotate, etc) first, you need to uncheck "Copy" and click the video screenshot or just click on Picture Settings button. Options seted here will be automatically saved when you close this window. If you reopen "Picture Settings" later all settings for that video stream, now, will be preserved. 4. Hit "Run now" button to start conversion. The application will ask you for an output file and depending on the file extension chosen will use the proper format (container). i recommend Matroska (.mkv) because it is compatible with all the codecs available in the app. 5. Sit back and wait for it to finish. What you see in the Output tab is exactly the ffmpeg output. You can approximate the progress by looking at the written time (100% = source file duration). 1. create - You are able to create a new stream profile only in convert mode but you can apply them for different job types. So, first import a file and unckeck copy. Then make desired settings and from Main Menu : Profiles - Add, choose a profile name, just make sure it is a meaningful one. That's it. You must create different profiles for audio and video. 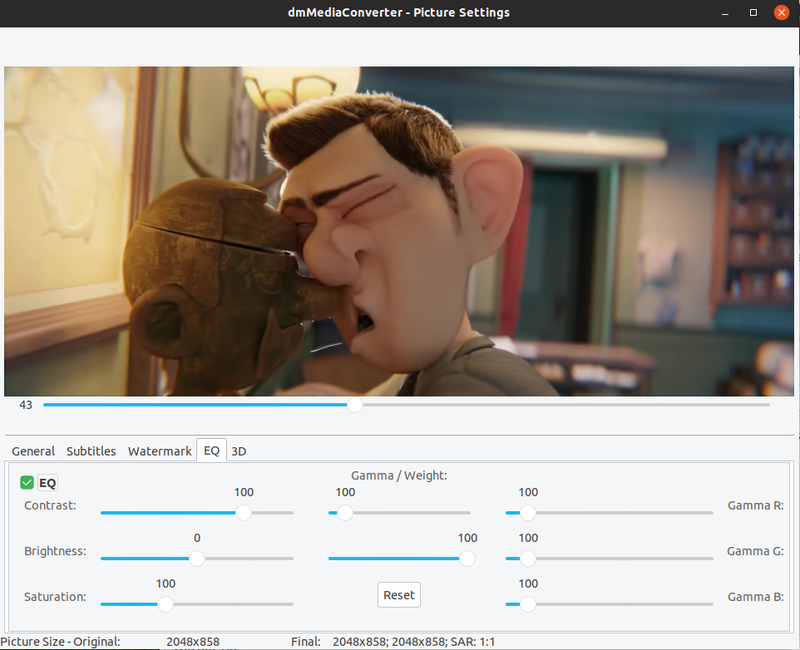 A video profiles also stores filter settings (Picture Settings). Using profiles is the only way to apply video filters in bulk mode. 2. apply - Just right clik on audio or video stream settings panel and apply desired profile. 3. delete - From Main Menu choose Profiles - Delete and pick the your desired stream. Let's start with an real example: Extract audio from Youtube videos and convert them to mp3s (mp4 to mp3). 1. Select Bulk mode and drag and drop your files. 2. From bulk mode set Video to "None". 3. Set Audio to "Audio Tab" and then press audio tab and choose mp3 encoder. 4. From bulk tab again choose container mp3 and select an output directory. That's it. Press Add Job and click Start. Here is another option: nth which means to extract only the nth audio stream form the file. It is useful when exporting to containers that accept only one audio stream and source files contains multiple tracks. dmMediaConverter does not support ripping DVD, blue ray disks or ISO files. So, you need an companion app, and i have found the perfect match for it, MakeMkv. MakeMKV is the best ripping software i sow so far. It is small, efficient and has a windows, mac and linux client. It does not do any compression, it only dectypts the mpeg2 dvd stream and it saves it into a mkv container. A very fast operation. So, first,use MakeMkv by opening the disk/iso file then choosing the desired titles and the output folder for mkv files. It generates an file per title. The mkv contains the raw mpeg2 ac3 and dvdsub streams, which are big. dmMediaConverter, now (v1.8.0), can watermark a video file. You can use the recommended png image format or jpeg (also another video file - buggy) . It is a multiplatform app written with Lazarus IDE. It supports Linux, Windows and Mac. The native Mac version it is available on Amazon for 5$, see the link below. For free on Mac, you can use Windows version under Wine (WineBottler), it is working just fine. I do not know it yet or promise that the app will be released as Open Source. Nevertheless, it will be free here. If you like the app and want to continue it's development, please donate. Any amount will be appreciated. With this app i also distribute a ffmpeg static build without modifying any of its source files. I have not studied, yet, legal implications. The app has no installer, it is a portable app so just extract the app folder anywhere you like. For Linux just check executable permissions for the app, ffmpeg and ffprobe binarys from bin sub-folder. Now, on Debian systems, (ex. Ubuntu) you can install the app using DEB files for x86 and x64. Just hit "Download app" link. The same form RPM files. Please report impressions, bugs and features requests. If you like my app and you have an Amazon account, please RATE IT or BUY it ;). You can vote without a purchase. See the Amazon links below. 2018.12.31 - v2.3.1 - Long time no see, but i hope it was worth the wait! 2018.03.15 - v2.2.0 - Amazon release. - Now you can have special characters in file names on windows and single quote on linux systems. - FFMpeg progress output is done on single line. - Clear settings when done option (default on). - NVENC on Linux x64 and Windows. - Intel QuickSync on Windows (you must have Intel Media SDK installed). If you manage to get the SDK installed on Linux it should be working also. - WinXP - no longer supported. You could use this version with a ffmpeg binary without mfx. 2015.09.11 - v1.8.0 - Watermark. Doubble click on image to quickly position the logo. - First Mac OSX native build. Available on Amazon for 5$. - Estimate encoded stream size if the encoding type is CBR. - Small UI fixes and refinements. - Updated FFMpeg binary with latest version. 2015.05.21 - v1.7.0 - Burn text based subtitles (not yet picture based). 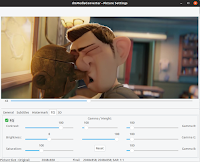 - Now you can manually specify additional FFMpeg filters (More) for audio and video streams. - On linux it removes automatically "'" from metadata. Workaround for MKVToolNix generated files. - Added option for auto add subtitle file (only *.srt for now). 2015.02.05 - v1.6.0 - Added checkup for not overwriting the source file. - You can assign dmMediaConverter to open media files. (ex. Right clik on file and "Open with..." dmMediaConverter's executable). You can use it like media info. - Now bitrate will be shown in kbit/s for better readability. - Updated FFMpeg binary with latest version (2.4). 2014.09.12 - v1.1.0 - ANOTHER BIG RELEASE! - Metadata edit for stream and container. - Show complete stream and container info. - More output container options. - Added Preferences in main menu. Please learn how to use "Latest" option because in the future i will not ship FFmpeg anymore. - Now you can rearrange and remove source files. - On failure does not clear settings. - Some code rewrites and bug fixing. 2014.08.21 - v1.0.0 - MAJOR RELEASE! - Stream Profiles! Now you can define profiles for video and audio streams individually. Note: It does not store aspect ratio, this is by design. To apply it just right click on video or audio tab. - Bulk Convert mode! Convert multiple files at once. - 2 pass encoding for video codecs - Works in Convert and Bulk mode only. - DeShake filter - i use default settings for it. It is not impressive. I do not recommend it but you can try it. - Creation_time tag - Now you can add or modify this container tag. Useful if you upload media and sort it by date (ex: G+ albums). - Picture Settings are preserved when you reopen the form. - Play file in external app (default system player) by dbl click on source file. - Added color coded stream types for easy identification. 2014.07.03 - v0.9.9 - Workaround for win32 trackbar missing label problem. - Drag and drop source files initial support. - In Split mode now you can select which streams will be prezent in output file. 2014.05.27 - v0.9.7 - Visual bug corrected. 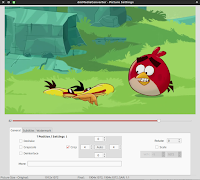 - Updated FFMpeg binarys with latest version. 2014.04.25 - v0.7 - Added audio auto gain detect. - Crop detection bug resolved. 2014.04.24 - v0.6 - The windows build is on the same level as Linux one. - Added crop detection button in "Picture settings". 2014.04.17 - v0.5 - Initial release.